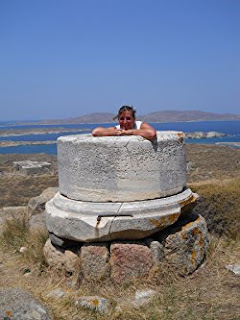 Suzanne Cordatos is another Sunpenny author in the United States. Quite coincidentally, she submitted her book to Sunpenny at the same time as her twin sister, Sonja Anderson, although neither knew the other was doing so; nor did our managing editor, Jo Holloway, know that they were related either. 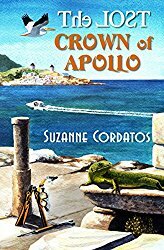 Suzanne's book, The Lost Crown of Apollo, is a wonderful adventure for children and is set in the Greek Islands. 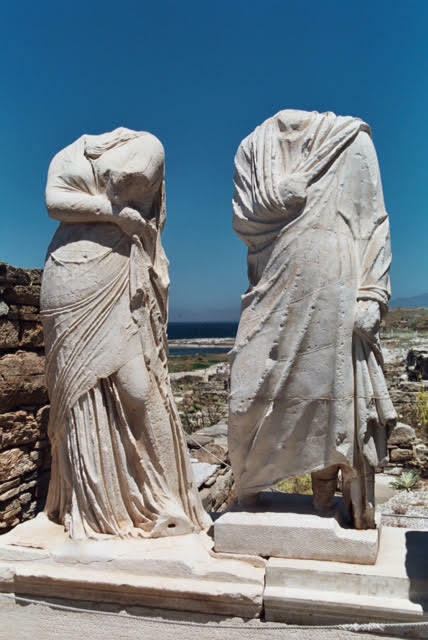 It is a story steeped in history and Greek legend and is therefore a great way of introducing children to the wonders of travel as well as Greek history and mythology. 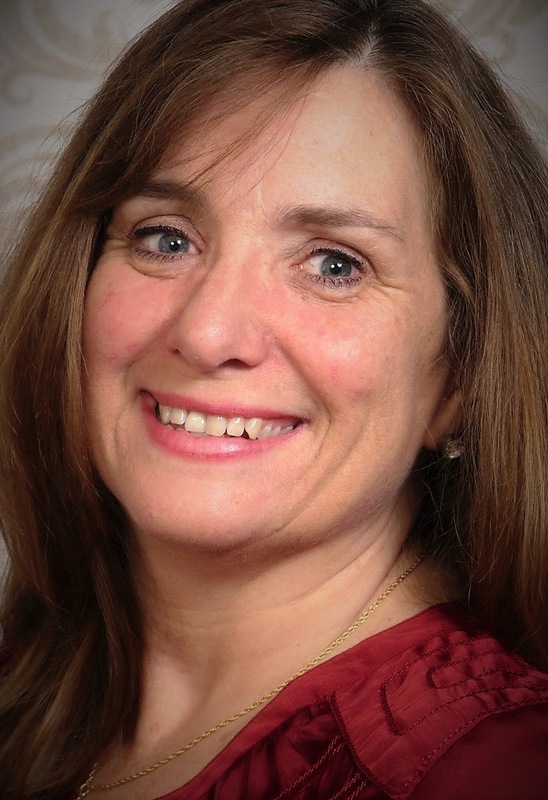 SP: Suzanne, could you tell us something of your background and how you came to be living in Colchester, Connecticut, USA? I grew up with two sisters (one a Sunpenny author, too!) and a brother in northeast Ohio, and graduated from universities there as well with degrees in English Literature and Educational Administration. For most of my adult life, I have lived up and down the east coast. My husband’s job as an engineer took us from Maryland to Connecticut, where we live in a rural spot on a large pond located roughly halfway between the very large cities of Boston and New York. SC: That sounds like the best of both worlds! What do you find most inspiring as a writer about living in Connecticut? Connecticut is unique in being very small yet diverse. Living close to nature and cities, living here injects a healthy variety of settings, characters and pace into my writing. Here, it is as natural to be on a headache-inducing highway as it is to take a walk on the beach. I find the seasons inspiring, too, but maybe not in the way you might think. When it is cold and snowing outside, my writing starts to wander in the summer heat—and vice versa! SP: Ah the attraction of opposites, then. What do you prefer writing? Fiction or fact and why? I love writing fiction, creating characters and fictitious worlds that are grounded in reality and themes that I come back to again and again in my own life. I’ve travelled to many countries for work and with family, and it is fun to imagine characters becoming engaged in events that “might” happen in some of the exotic locales. 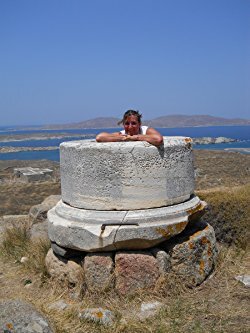 I wrote The Lost Crown of Apollo as almost a love letter to my husband’s Greek family, as my way of thanking them for the magical adventures that we’ve had together in that beautiful country. I’m currently writing a middle grade novel set loosely in a quaint French village. My picture book series about Willard the Dragon is, of course, not based on a real place but on situational dilemmas that Willard finds himself in with friends. As a child, I had a difficult time making a decision, and it is great fun to explore what a little dragon might choose to do in those circumstances! SP: That sounds like another way of having the best of both worlds! Do you write anything other than fiction/fact? I’ve sold a poem and a non-fiction story to Highlights Magazine, but I prefer writing novels. My picture books, under 1000 words apiece, are almost harder to write than full-length books because the story must be very succinct yet filled with visuals, emotion and fun. Plus, picture books have to sound right when read aloud and flow off the tongue like a song. SP: That's a lovely analogy, Suzanne. Now as a children's author, what tip would you give our readers about how to get started on a book? Don’t wait! Find a writing friend/partner! The time it takes to write and revise a book varies per writer and project, but once the manuscript is finished it takes a great deal more time to find an appropriate publisher and ultimately reach your readers. There is no time like the present to get started if writing a book is a serious goal. As you know, my twin sister, Sonja Anderson, is another Sunpenny author. It is fantastic to bounce ideas off another person who understands the process. SP: Thinking and cooperating with your sister must give you both tremendous support. What would you say is your greatest strength in life? And then (of course) what do you see as your weakest point? I am not the one you want to handle your finances, that is for certain. However, I see things “glass half full” and can offer you boundless enthusiasm, optimism and second chances. I work hard and try my best to make a happy home life for my family, too. SP: That sounds as if you are a great optimist! With that in mind, imagine if you had to live for a year with only one book; what would it be? And do you have any favourite authors? If so, why do you admire their work? My all-time favourite book is Katherine, by Anya Seton, a sweeping tale based on a real historical figure set in the middle ages. It has enough colourful drama and human emotion to keep one company for a year. My favourite author is Tolkien. The scope of well-crafted story, characters, unique languages, and richly woven settings and themes in The Hobbit and the Lord of the Rings are incredible. SP: Two fabulous authors indeed. Are you writing anything at the moment, Suzanne? Can you tell us what it is? I’ve just had a picture book series released in the USA, about Willard, a little dragon with big friendship dilemmas. Sneeze-Fire and Camp Dragon-Fire both came out in 2016. I’ve been working on the sequel to Sunpenny’s The Lost Crown of Apollo, continuing the story of Elias and the Tantalos family during their next trip to Greece as well as a pair of middle grade fantasy novels about the loneliest, poorest girl in the village, Cessie Wattle, who befriends twin princesses. SP: That sounds as if you are being very productive, Suzanne. We'll look forward to seeing those! Now, this is the last question. Tell us, if you had a bucket list, what would be in the top three positions? Travel, travel and travel! I’ve traveled to 18 countries, lived in Japan for a year and would love to spend more time in the UK, Europe and Asia. Well, given the international nature of our authors, that doesn't really surprise us at all. Thank you so much for joining us on the blog this week, Suzanne. It's been a real pleasure and we wish you lots of happy writing days in the months to come! Another wonderful interview, Val! Speaking of the book Katherine, Suzy and I first read it as teenagers. It inspired my history major in college, and we've been hoping ever since to roam around England together, retracing Katherine 's steps. Someday!! Wonderful interview with one of my favorite writing pals! Suzy and her sister, Sonja, are true treasures beyond measure. Thank you for sharing this interview!